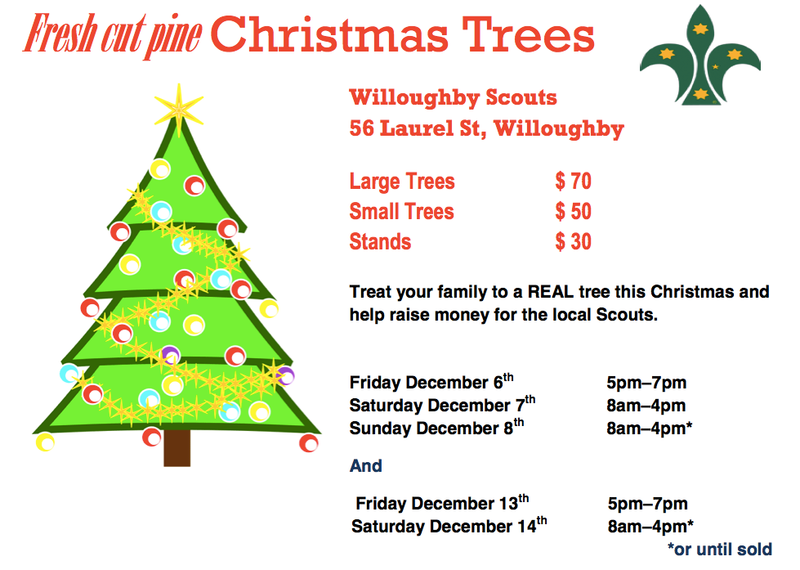 Like in past years, 1st Willoughby will be selling beautiful, freshly cut pine Christmas trees. Treat your family to a REAL tree this Christmas and help raise money for the local Scouts. We keeping the prices the same as last year so you can get fresh cut trees at great value. Even if you don’t live in Willoughby, we would love to see people from Chatswood, Northbridge, Cammeray and Roseville. Real, fragrant Xmas fir pine trees for sale – they will get your family into the Xmas spirit more than any plastic Xmas tree will.